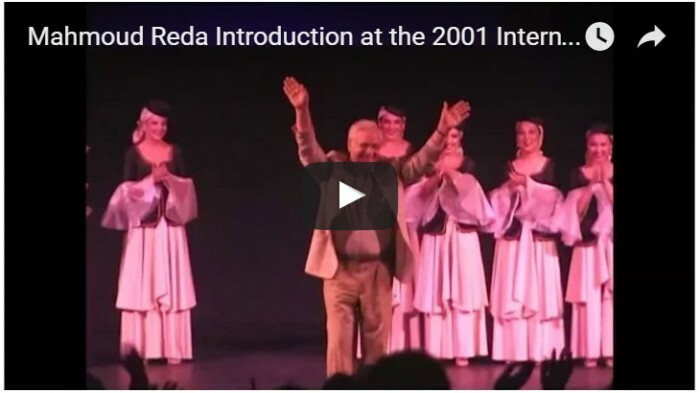 In 2001 I had the great honor and fulfillment of being part of the International Conference on Middle Eastern Dance that I co-sponsored with Angelika Nemeth and Shareen al Safy. We brought Mme. Farida Fahmy and Mr. Mahmoud Reda for teaching and participating by lecture. Here I introduce Mahmoud Reda. We will forever in appreciation to the artist, director, pioneer, and sweet man Mr. Mahmoud Reda. I am so thankful.